La Zenia is one of several urbanizations within the Orihuela Costa. Here you find white sand beaches, plenty of restaurants, bars and cafes, and the largest shopping centre in the province of Alicante, Zenia Boulevard. There are many reasons to choose La Zenia when considering buying a new build apartment to spend your holidays or reside all year near the Costa Blanca beaches. La Zenia boasts a minimum of 320 days of sunshine a year and an average temperature of 18ºC. It is just a short drive from three golf courses and very well connected by A-7 motorway. When you buy a new apartment in La Zenia you can be sure to benefit from an excellent location being within walking distance to the beach, local shops and restaurants as well as only 40 minutes drive from Alicante airport and 25 minutes from Murcia airport. 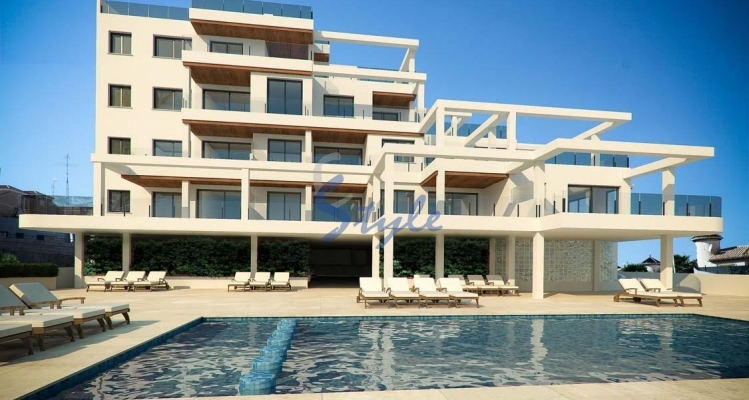 E-Style Spain offers you a wide range of 2 and 3 bed apartments for sale in La Zenia, Orihuela Costa, Costa Blanca. All of them are situated in residential complexes with communal swimming pools and beautiful green areas. La Zenia continues to grow in popularity with demand for property remaining high. Give us a call today if you want to know more!